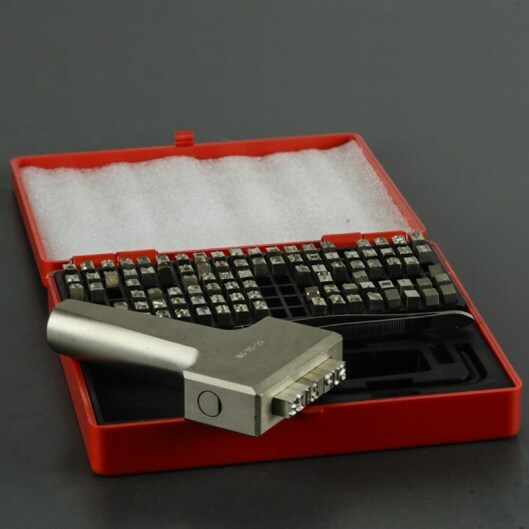 Steel Type and Holders - Marking Tools - Marking type - Young Bros. 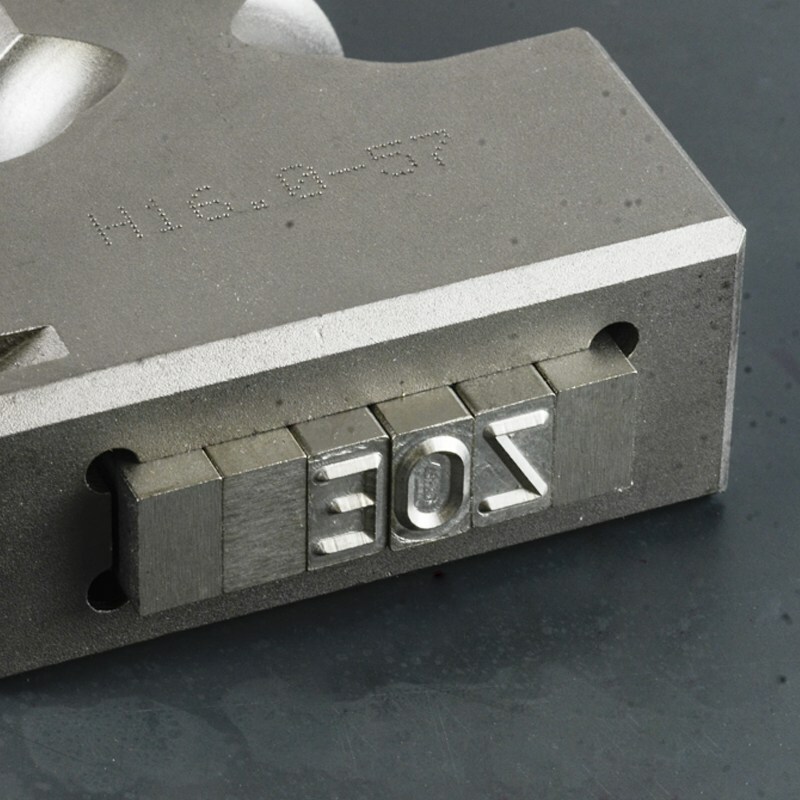 Combine letter and/or figure series for marking serials, dates, or part codes in one easy stroke with perfect character alignment. Combine letter and/or figure series for marking serials, dates, or part codes in one easy stroke with perfect character alignment. May be purchased individually or as a complete marking kit with case. Kit includes letters, numbers, ampersand, slash, period, comma, spacers, dash and type holder. See detailed chart below. #29 & #39 Holders can be interchanged within kits if requested. Spacers available for 1/16, 3/32, 1/8, 3/16, 1/4, 3/8. May be purchased individually or as a complete marking kit with case. 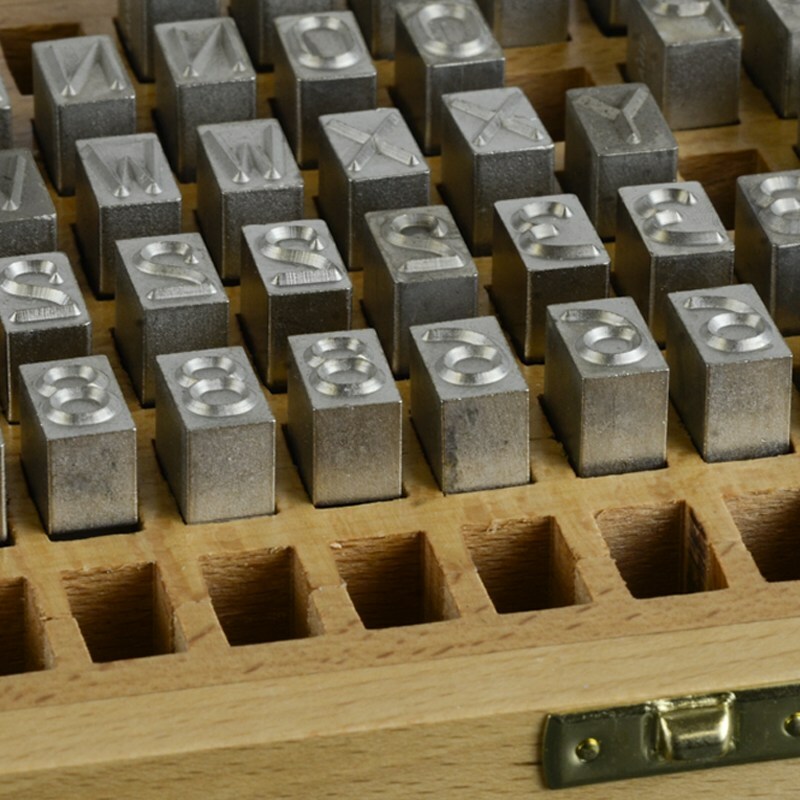 Kit includes letters, numbers, ampersand, slash, period, comma, spacers, dash and type holder. See detailed chart below. To order Round Face Individual steel type use item code for Marking Kit plus character required. To order fill sets of letters or figures use the item code plus the word "Letters" or "Figures". * #29 & #39 Holders can be interchanged within kits if requested. To order Sharp Face individual steel type use item code for Marking Kit size plus character required.